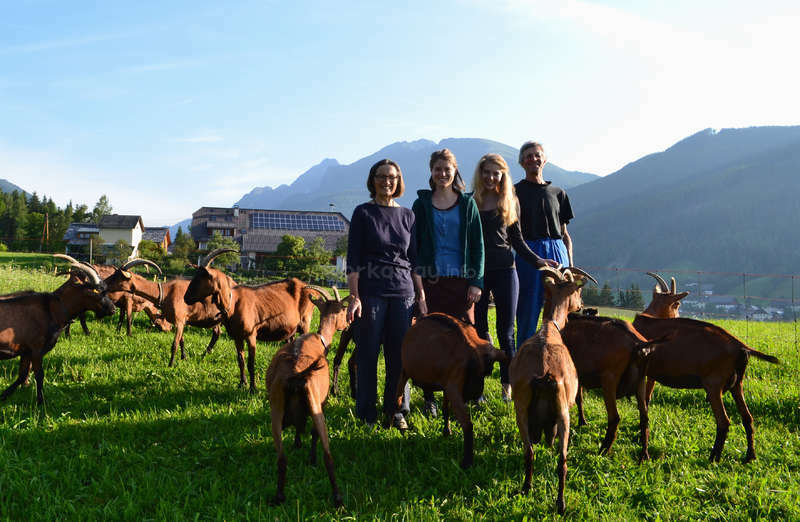 We are a family of 6 people (we have 4 daughters who all have already made the experience of Workaway during their travels as well) and we live on an organic mountain farm in the middle of the Austrian Alps. We have milking cows and milking goats for making different kinds of raw-milk cheese, yoghurt and butter. Furthermore, we grow vegetables, fruits, grain and herbs for making a wide range of different product such as bred, tea, juice, jam, chutney, pesto,... We sell our cheese and some other products in our small farmshop, on the farmers' market and in the farmers' shop in the next town. 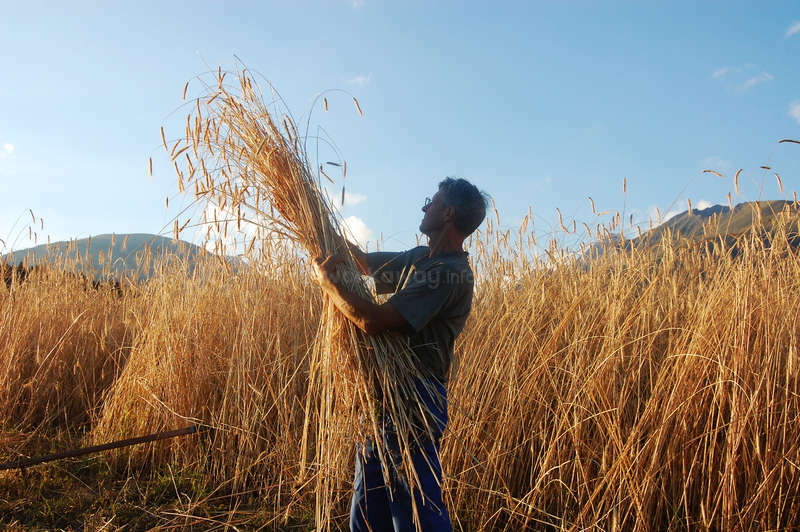 We are engaged with the idea of "slow food" - regional, good quality and organic food. In general, we set a high value on self-sufficiency - we try to produce all the food which we need for our consumption ourselves. Through organisations like Workaway, we luckily got the chance to meet a lot of different people from all over the world and we are still very keen on hosting volunteers for some more cultural exchange. 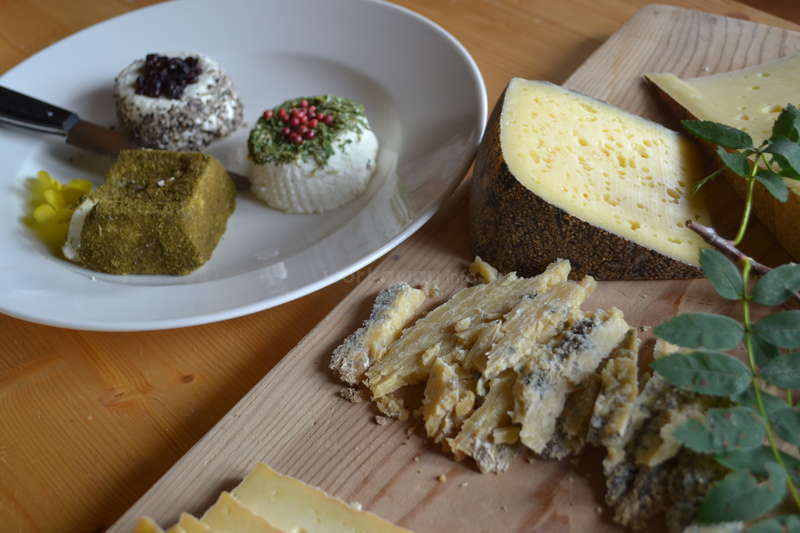 If you're interested in how to make cheese and other milk porducts, baking bread, milking goats (by hand), making tea and other products, you are on the right place. Apart from that, you could help us with picking herbs, harvesting, gardening, animal care and many ohter types of work. We prefer a stay of at least one week up to three weeks. I spent two weeks here last summer and it was amazing! (Sorry for the late feedback, but better late than never...) I had such a good experience that I also recommended my sister to go here, and I took the opportunity to revisit the farm myself at the same time. 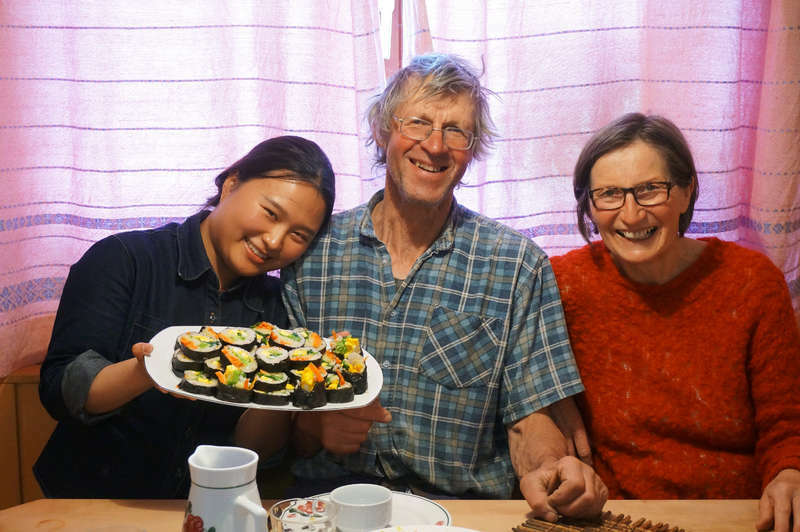 Gunther and Grete are among the most kind and welcoming people I've met, I feel like… read more they genuinely cared for me to have a good time during my stay. They were also very patient with my beginners level in german which I'm so thankful for. The work was also very interesting and I was able to try a lot of variating tasks, which I enjoyed. 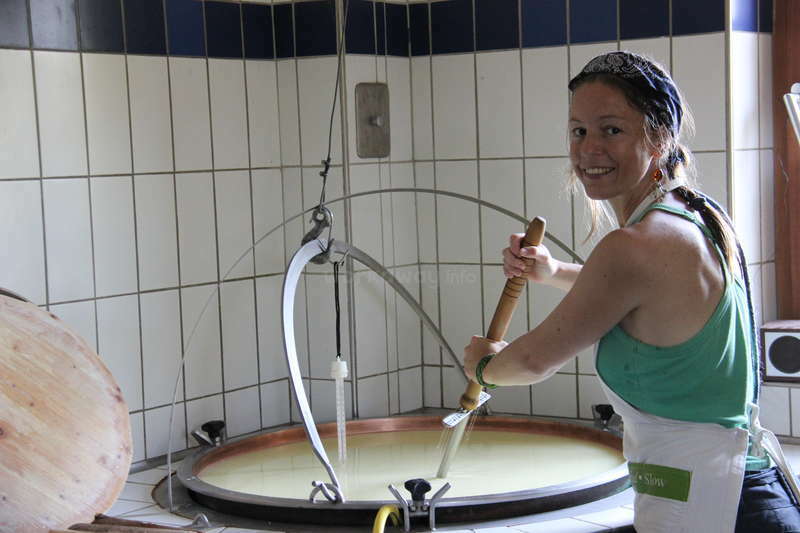 I learned a lot about cheesemaking, their lifestyle and farming during these weeks. Thanks for having me! we had a very good time with Jennifer. She is such a fiendly and polite girl and always eager to help. 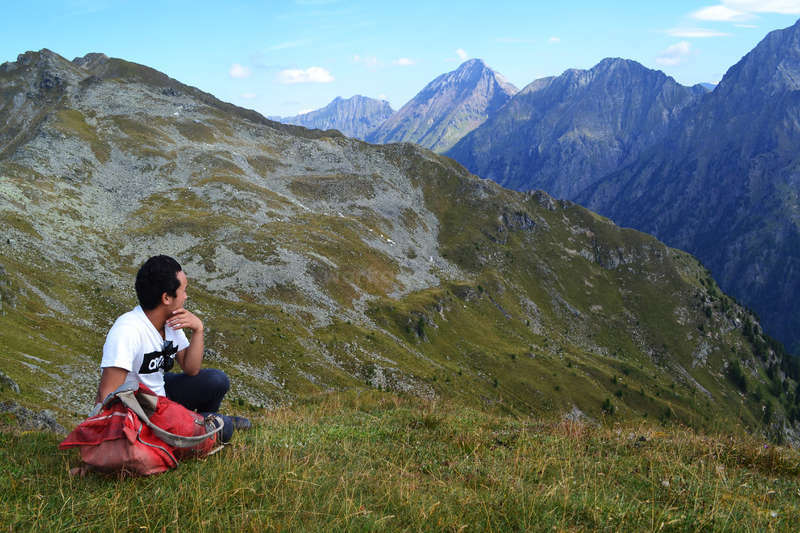 we always had good and… read more interesting conversation and we where happy that she enjoyed our mountain hikes- she showed to be a good alpine hiker. thank you and good luck, Jennifer! Thank you for giving me such a wonderful experience on your farm. It was great how you always took your time explaining and showing. I was always felt me comfortable on your warm and welcoming family, that made me feel like home. Both Gunther and Grete have much knowledge about different topics and it was interesting learning from you and see… read more everything on the farm, how food can be produced and how it is to work in a stable. Furthermore it is a beautiful place. The farm which is located in the mountains. The nature is gorgeous, and I had the pleasure to explore it together with the best dog I have ever met, Bella. Once again thank you a lot for everything, you all will have a place in my heart forever. I was really lucky to do my first workaway experience with them! They welcomed me as a part of their family and I couldn't have wished for a better beginning. During my two-weeks-stay they have taught me a lot about farming,cheese and in general how to live in harmony with the nature. I'll be happy to visit them again. and thanks to them now I'm… read more really looking forward for my next experience. thank you Emily for this very good and peacefull time with you! Emily was here to help any time we needed her and always did a good job. we a very very good time! I can’t possible pick a favorite. From hiking in the incredible mountains, to milking goats, to watching a local village parade, to helping make cheese alongside Gunther, attending a classical concert in the village church,… read more to taking the dog for walks through the forest...The family are incredibly big-hearted people and I cannot thank them enough for all of their generosity, perfect food, and inclusion into their life. I definitely felt like a family member here and was heartbroken to leave them at th end of my stay. Definitely a recommended workaway - you will learn and enjoy so much. Vielen danke!! I hope to be back soon! mai stayed on our farm for three weeks. She really was very good help for us. her main work was caring for the animals and we felt her amazing communication with them. Mai is very reliable and willing to learn and to intgrate in everydays farm rhythm. 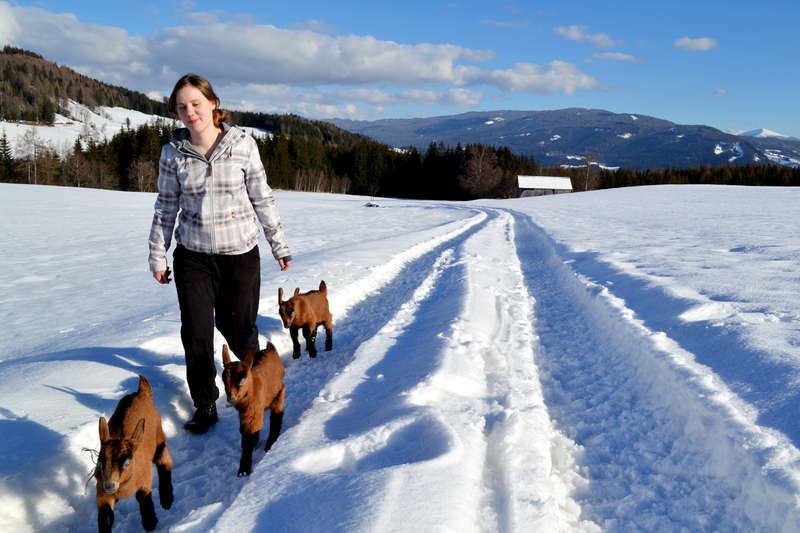 As in march on our farm there is no outside work starting yet, she enjoyed the winter walks with… read more our dog. we felt good and quiet harmony with Mai`s presence and want to thank for the good time! we remeber with joy on the stay of jessica on our farm! 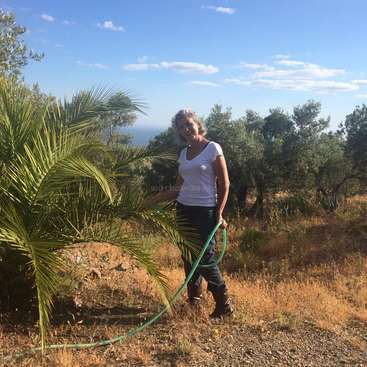 She was really good help to all the different summer works, was ambitious to learn from our farming-experience. and she brought delight and good discussions to the family. Her liberal mind and strong temperament always have the chance for surprises and motions. she made it easy to get pasrt… read more of the family and everydays work. My goodness, I forgot to leave feedback. I came to Gunther and Greti's for two weeks, but in the end came back for two more. It's safe to say my stay in this paradise altered the course of my life -- just learning and observing; Greti, the toughest woman I've ever known; and Gunther, the humblest and hardest-working guy, who in his quiet way… read more brings such love to everything he does. Nearly everything they consume, they make themselves. The countryside is astonishingly beautiful. The whole family was so inviting, so compassionate and so kind, I hope that we will stay lifelong friends. If you've ever wondered what paradise looks like, it's this farm. Go, work, learn. This place is pure love. Miss you all, sending love from Granada!! kanako asked months before to come in summer, we fixed the date for her and she promised to come for sure. I stayed with the family for 2 weeks, which is too short!! Since I arrived the beautiful farm house, I was overwhelmed by the strong family rhythm, which made my stay extremely enjoyable and unforgettable. I really loved the good fresh food, nice chat, funny jokes and sharing with them. They were always understanding and respecting. I remember… read more that we were having a road trip on a rainy day, when we went back to the car with wet feet and jeans after visiting the market, Gunther gave us a blanket and reminded us to keep warm like a caring father, it was really a touching moment and I still remember it clearly. The works were really interesting, I was lucky enough to join the cattle herding before winter came, which was a completely new experience for me. The surrounding area as well as the living place they offered was just like heaven, a large piece of greenery and beautiful mountain gave me the best view ever. Once again thanks for everything you had given me in this workaway adventure. Yama stayed two weeks on our farm and was very welcome guest- helpfull, responsable, modest and. a very pleasant partner for conversation, exchange opinions, informations, eyperiences. her great sense for humor, her interest for our culture, food and working style made her soon to a nice part of family life. I stayed with the family for two weeks and it was a really good experience. 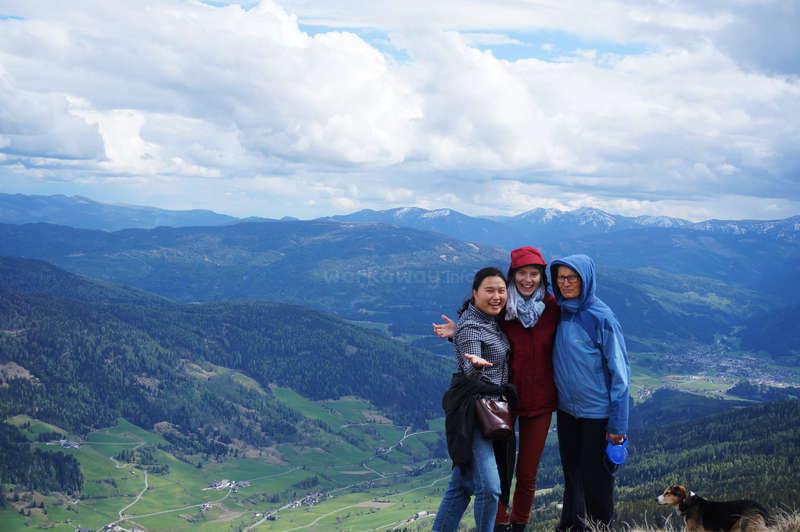 It was my first experience traveling with workaway and I enjoyed every moment. Everyone in the family made me feel at home, they are very kind and generous people with lots of interesting things to share. I learned a lot about farming, making cheese, jam, tea… On my free… read more time, I loved hiking around the farm and on the mountain. Thank you for sharing with me your knowledge, your home and your culture. Anna maria stayed two weeks on our farm and was a great help for us- harvest, gardening, milking, maintainance of the stable. We where impressed by her interest in farming work, her responsibility and quick learning. She was a very pleasant guest for us, rather quiet, but very enriching in conversation, sharing informations and experiences. we… read more where happy she enjoyed our landscape and did some mountain hikes. thank you very much, Anna Maria! Ju was here at our farm for two weeks- just too short! We had such a good time with Ju- friendly, responsable, interested, a great help for many farm works and the garden. and: a very great cook- she treated us so well with many excellent korean special meals. and not only where the eat- experiences great, also organisation and cleaning… read more around. and we also could learn a lot about Korea and its culture. so thanks a lot to Ju! tomas stayed threee weeks on our farm and we had a very good time with him. tomas is a very polite and responsible peron and after introduction to work he soon is very helpfull doing his job. especially making cheese needs correct handling and here tomas was great help. And he also did not mind hard work in the sun harvesting hay and through all… read more enjojing the surrounding of our mountain landscape. I stayed in Lungau with the family full 3 weeks and I can only recommend such an experience. I have learned a lot and I fulfilled some of my dreams during my stay – working in a beautiful environment (hiking in the awesome nature, spending time with nice people), working with animals (cows and goats, which I also had a chance to learn to milk),… read more learning something new (already mentioned milking and cheese making), possibility to speak German, etc. I enjoyed also my room and all the meals provided, the most dishes consisted of bio food and home-made products. If I got the opportunity to meet this family again and do what I did, I would go for it again! I wish all the best to the entire family, lot of fun, good health and last but not least the good weather ;)! Herzliche Gruesse aus der Slowakei! Thomas. unfortunately sophie was only one week at our farm; we would have enjoyed if she could have stayed longer! sophie is a very nice girl and enriched the society of our home very much. she is always in good and glad mood, interested in new environment and new work and eager to do work as good as possible. and she is an interesting partner in… read more conversation and exchange of knowledge and has no prblems to adapt to new situations. Staying with this family was phenomenal. The beauty of the area is something that words cannot describe (you just have to expeience it), the hospitality the family shows makes you feel so grateful to be a part od this family, the animals you work with are just adorable, all with their own peraonalities and the work that you do (if you're from the… read more city, likee) is never boring. Oh, and j forgot about the food! Almost everything you eat in this household, except for perhaps the oil and sometimes alcohol, comes directly from the farm. The food you eat just makes you feel healthy! If yoy love hikes, the nature, cultural exchange, animals, cooking, you will love this place as much as I did. This is a very generous family full of kindness. If youre worried that you dont speak german, dont be. I disnt speak a word f german, but managed to pick up a couple words during my stay. Greta, the host mom, is so genuine and warm, we were able to communicate somehow woth some acting and had lots of fun :). Of course if you are able yo speak german, I suspect she has lots of nice things to teach you! 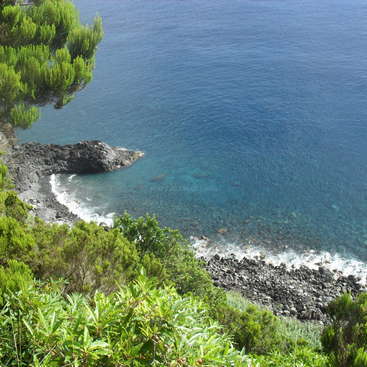 Two things to note before preparimf your travels to this little piece of paradise. One, this family loves trying different food. So if you come from far away, they would love it if you could prepare some ethnic food. I regret not bringing some taiwNese spices with me. And secondly, dont make the mistake of only staying one week! That was definitely one of my biggest regrets. There is so much more to enjoy and experience. I loved my three week stay at family Neynar's farm. They are wonderful, caring people so it's very easy to feel comfortable in their home. There is so many things yo can learn from everyone. All the other leaving creatures are lovable, especially Bella (dog) and Fridoline (cat). Goats are much more fascinating than I thought - witty… read more animals! Work was mainly stable cleaning, cheesemaking and picking herbs. Those activities are rewarding and diverse - so you don't loose interest. They are not very hard but enough to sleep soundly in the night. Beauty of the place is impossible to describe, won't even try. 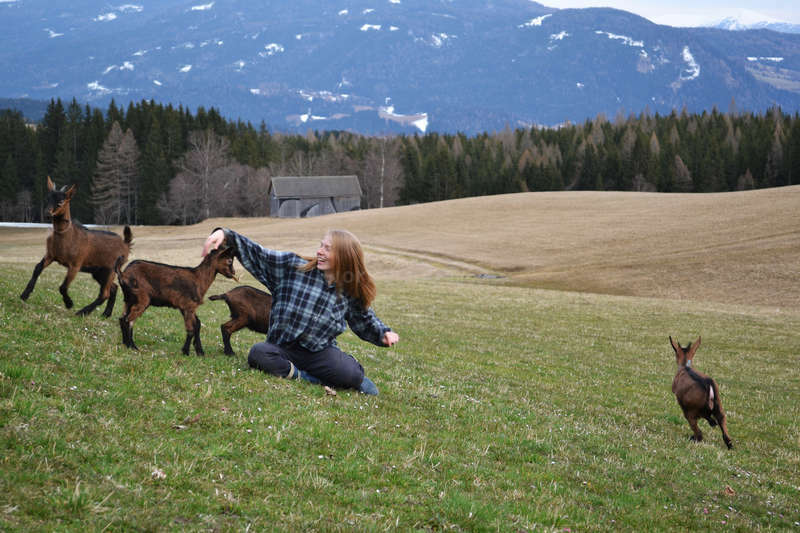 Whatever is your main interest - cheesemaking, meeting interesting people, working with animals, hiking, sightseeing... - you'll be happy at this farm. Great host, definitive recommendation! I spent 3 wonderful weeks with this nice family helping on their farm. The work was fair and very rewarding. The cheeses as well as all the other food, mostly grown on the farm, tasted great. Die beste Jause weit und breit! 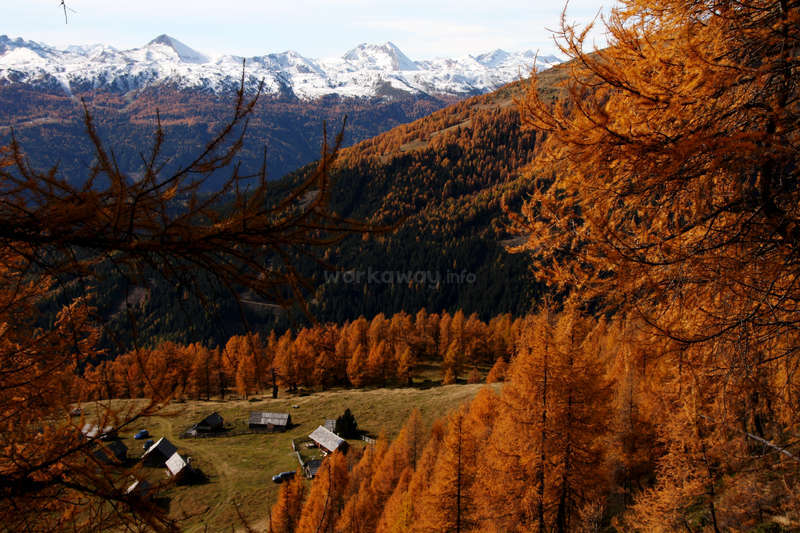 For your free time there are many nice hiking trails in the mountains and a lot of… read more (ice cold) lakes. Also, their dog is possibly the best dog in the world. I had an absolutely fantastic 2 weeks here. I feel like I have learnt so many things about farming, keeping animals, cheese making and Austrian culture, amongst many other things! Every day started with cleaning the cow stalls, then working with the cheese, then walking Bella after lunch, and milking the goats in the late afternoon. I also had… read more time spare to do my own things and they very kindly tolerated my clarinet practise! Other work involved raking hay for the machines, and picking flowers for tea, half of which I never knew you could make tea from. I had some beautiful walks in the surrounding mountains (if you love hiking, it’s just stunning), ate some beautiful, fresh, home grown food, and also improved my German. Thank you so much once again to the family for making my time there so enjoyable, I was very sad to leave! DANKE SCHÖN!!! I spent three weeks at the farm in June 2015. My usual routine involved cleaning the stables in the morning, followed by working in the cheese-house and in the afternoon feeding the cows and goats as well as milking the goats by hand. I also helped with the hay harvest and did some gardening. 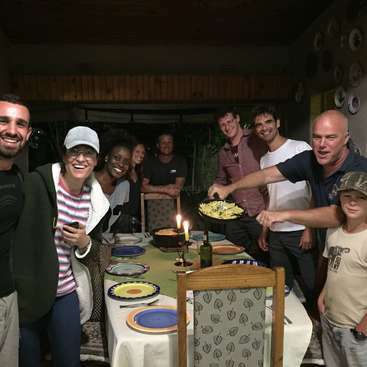 Gunther and his family were very kind to me, and… read more although I did not speak any german, I enjoyed our (delicious organic) mealtimes together, listening to the language and picking up a few words. Thank you for your hospitality! we had a great time with Amanda - she is so nice, eager and helpfull and has a LOT of humor! >Dana and Julie where really enriching our life! they are excellent workers and and great companions with good amount of humor. it was a pleasure to share the days with them! My sister, Dana, and I had a wonderful time staying with this family. We were welcomed into the family immediately and given responsibilities on the farm with clear instructions and expectations. We loved milking the goats and making cheese. The work was very fair and also super enjoyable and it was nice to work alongside others. During free time,… read more taking hikes with Bella (the dog) was a highlight. It was also so wonderful that with limited German we were able to communicate in one way or another with everyone! We couldn't have asked for a better first experience with Workaway than working and staying with you. Thank you for all of the super food, stories, and learning! we had a very good time with Katja. she is a nice companion, with humor and interest, efficient and reliable in her work. Ich war für 3 Wochen auf diesem tollen Hof - es war meine erste Erfahrung mit workaway. Die Familie hat mich sofort freundlich aufgenommen, ich fühlte mich vom ersten Tag an Willkommen! Alle sind sooo nett, liebenswürdig und hilfsbereit. Das Essen war jeden Tag super lecker und frisch, alles hier ist selbst gekocht/gebacken/hergestellt. Wenn ich… read more könnte würde ich dafür 4 Sterne extra vergeben. Ich hatte ein eigenes, großes Zimmer. busy, relieable and nice companion! I had an unbelievably great time here! The work was really fair and was the exact type of work I wanted to do, outside in the fresh air and lots of physical activity! I learned a lot about working on the farm and about making cheese which is really interesting and something I never thought about before! 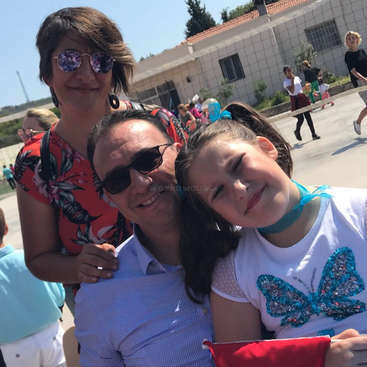 The whole family is so welcoming and… read more friendly even though I couldn't speak much German which was the only thing I regret, as they always seemed to be having fun conversations, so when I go back for a visit I will learn more German! Seriously recommend this place if you want to get away from it all and detox on some really good organic food! Thank you guys! I spent 16 days in October here. I was greeted at the bus stop by a smiling Grete, Klara and Bella. I stepped onto the farm and thought I stepped onto a movie set or someone's imagination. Incredible views surrounded by mountains. Every day there was something new and enjoyable to do. I attempted to milk a goat(! ), make and prepare (and eat! 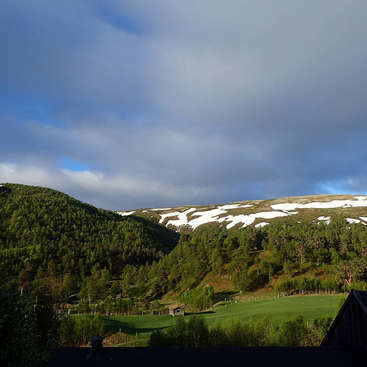 )… read more cheese, helped herd the cows down from the mountain, hiked up the mountain whilst picking cranberries, picked flowers for tea, harvested potatoes, cleaned stables and on my last day it began to snow!!! I loved every minute. I was given a great room and 3 meals a day (lunches were sometimes a 3-course event made from all the organic food from the farm). Gunther is such an intelligent man who is patient in his teaching; Grete is a very kind woman who, although we didn't speak a common language, taught me some key words and was dedicated to communicate with me; Klara and Maria are really awesome girls full of fun and confidence; Oma and Opa were so sweet and warm (I really wish I spoke German!!). Work could sometimes be challenging but never anything you can't accomplish. Gunther and Grete were really flexible on how much I wanted to work but I was keen to do lots! I could say so much more about the awesome experiences and the wonderful hospitality I received but all I will say is if you get the privilege to stay here - take the opportunity!!!!!! I spent 2 wonderful weeks with Gunther and his family. 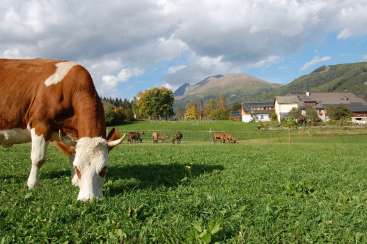 I learned a lot about cows, goats, cheese-making, milk products, baking bread, Austrian culture, organic life-style etc. I simply loved the harmony and no-stress approach family is living with, even work in farm is not the easiest. The traditions in family which are so respectful and… read more meaningful that you want to overtake it to your future life. It was such a pleasure to be a part of your family these two weeks! I hope I can visit you again in future! I had two awesome weeks here, learnt a lot and had a great time. The family was amazingly friendly, generous and fun to be with. The surroundings of the farm are wonderful and I also got the chance to go hiking quite a few times. Overall an extremely positive experience! I spent a lovely month here this summer, and felt that I got a lot out of it. I was able to improve my German (and get to grips a little bit with the Austrian accent!) 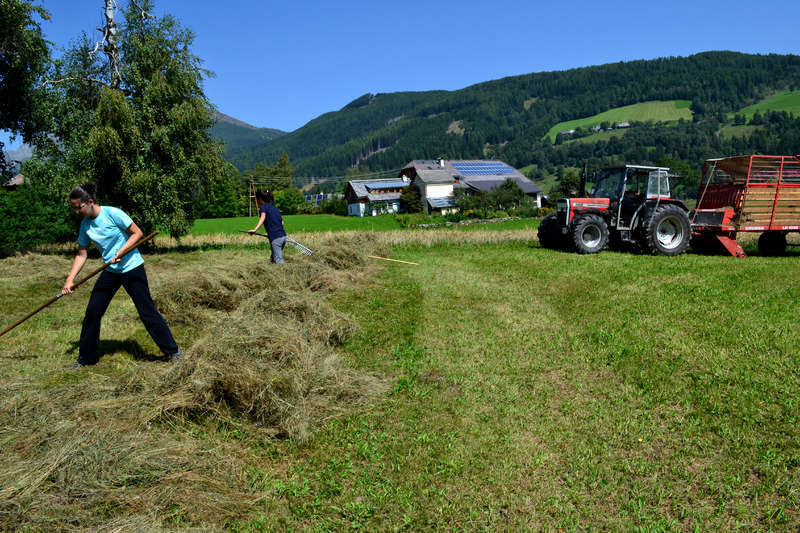 and spend time working on a traditional farm making cheese, feeding newborn goat kids, mucking out the stable and harvesting hay - things that I had never done before, and really… read more enjoyed. The family were all friendly, the food delicious - the vast majority of it homegrown and made - and the accommodation was great. 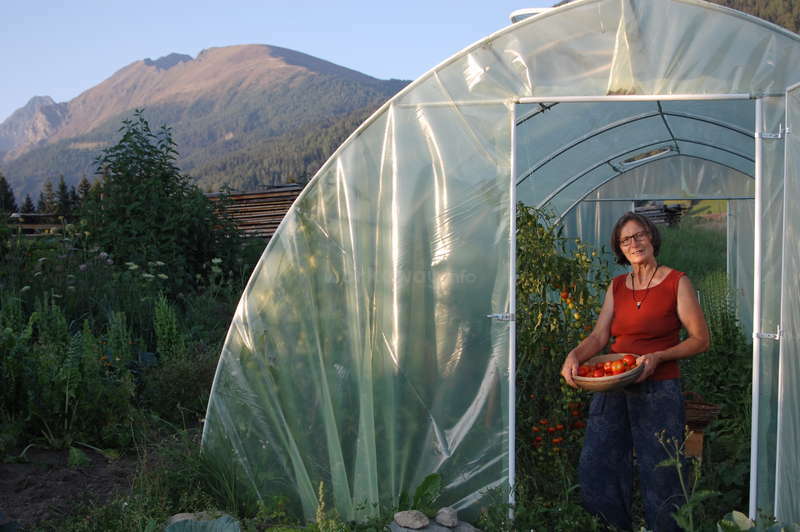 I recommend this farm to anyone who's willing to do a bit of physical work in exchange for the opportunity to live in a beautiful place and experience a different way of life. I spent three weeks at here and enjoyed every day! The family is friendly and will accomodate you well. I got to learn a lot about cows and goats, and about cheesemaking as well! I also got involved in local events even though I can't speak German. Best of all, they organised a small exhibition for my artwork during my stay! We spent two beautiful and enlightening weeks in October 2010 here. During that period we learnt very many new skills (for example how to make cheese and Knäckebrot) and saw wonderful landscapes, also hiked in the mountains which was amazing! The family was wonderful, we felt really good there and still think of you a lot and we really hope that… read more everything is good with you :) Thank you for the experience!